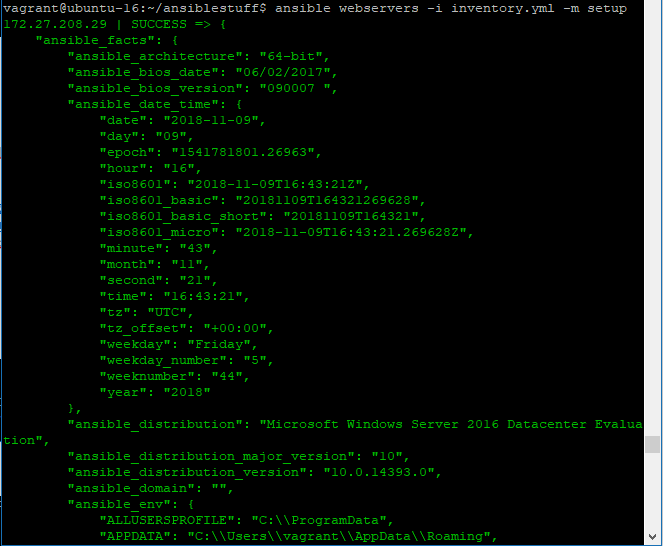 I have another post on how to install ansible here, but if you want to run it inside AWS (maybe for testing Ansible, or maybe for production), you will need to do a few things first. 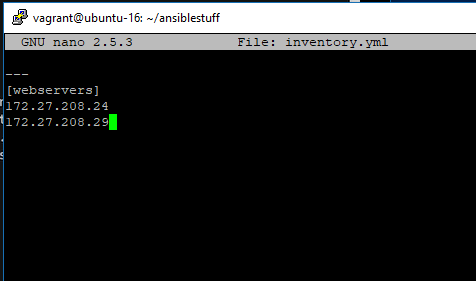 Before starting though, this isn't about managing AWS with Ansible, although that can be done (you can use Ansible to create your instance, security groups, etc.). To do that, you may want to have Ansible running on-premise, and a VPN connection to AWS. 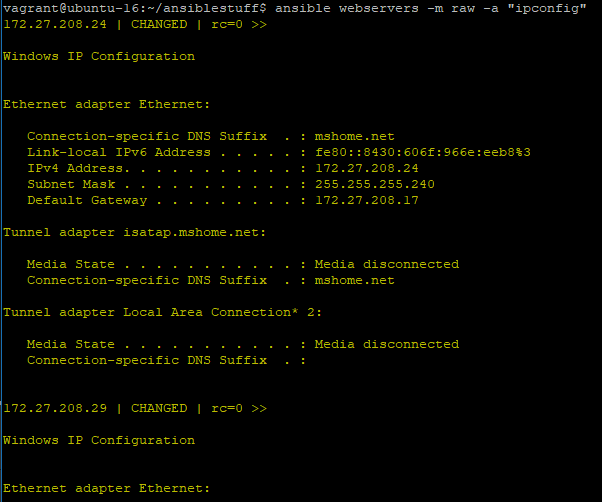 ansible webservers -m raw -a "ipconfig"